Bangladesh played active and positive roles when the governments around the world descended in Rome in summer of 1998, to make history for the mankind as they recognized that in twenty century alone, “millions of children, women and men have been victims of unimaginable atrocities “ threatening “ the peace, security and well-being of the world.” They gathered there to develop infrastructure of international justice that would end impunity for “most serious crimes of international concern”. 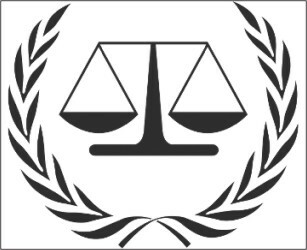 After the Statute establishing the first permanent International Criminal Court (ICC) was adopted in July 1998, within a year or so, and well-before the deadline to sign the Statute, 31 December 2000, Bangladesh Government signed the Rome Statute and deposited the instrument of signature to UN. Current Prime Minister personally went to New York and signed the instrument on 16 September 1998. However, Bangladesh has yet to take next logical step, to ratify the Statute. The Government of Bangladesh put in lots of thoughts when it decided to sign. It considered all aspects of the Rome Statute, its implications in national legal order including a thorny issue, which also challenged many other countries as well, reconciling immunity enjoyed by the Head of the State and others with the provision of the ICC Statute that exempts no person criminal responsibility under Article 27. The Constitution of Bangladesh provides in Article 51 immunity to the President. The Government, in the end, concluded that there were no impediments to sign the Statute and accordingly decided to sign. Prime Minister Sheikh Hasina then recalled horrors of 1971, when millions were displaced and killed and said, we owe it to those victims that Bangladesh should join the international process to justice for international crimes. The ratification campaign started almost after signature, with detail analysis of the Rome Statute and the Constitution of Bangladesh as well other laws. Also, obligations and implications of ratification were undertaken. There were arguments and debates but the ratification initiatives lost momentum within the Government. A low intensity campaign for the ICC has continued over all these years but now that the Government that signed the Rome Statute is back in charge, a new sense of optimism has been generated, here and abroad, to the extent that President of the International Criminal Court Mr. Justice Sang-Hyun Song, has undertaken a personal mission to persuade Bangladesh to join the ICC. I see not a single reason, legal or otherwise, for Bangladesh not join 110 other States, majority of the countries of the world, and say yes to ICC. I propose that this Workshop discusses today strategy for engaging with the Government and others, so that the momentum generated through the visit of President Song could be sustained until the Statute is ratified and beyond. There is an added incentive for Bangladesh, the First Review Conference of the ICC, where States Parties have opportunity to further strengthen the Statute. Bangladesh should complete all process and deposit the Instrument of Ratification by 10 March 2010 to join the Conference as a full member of the Court. All the countries of the world will be in Kampala, Uganda, the venue of Review Conference, and ready welcome Bangladesh as a new member. The writer is Convener, Asian Network for ICC and Advisor, Odhikar.